2016 Yamaha Apex X-TX, CALL FOR BEST DEAL!!!! 2016 Yamaha APEX® X-TX Performance tuned, trail hungry, unlimited opportunities. Features May Include: NEW SingleShot 146 Rear Suspension The all-new SingleShot rear suspension features a revised drop-link rear suspension linkage, new geometry, and a significant weight loss over previous designs. The dual arm, fully-coupled suspension features inside the rail coupling blocks, an improved track tensioning system, and a reduction of 9-pounds than the previous 136-inch suspension all while delivering exceptional ride quality and control in rough terrain. NEW FOX FLOAT 3 XV Rear Shock The new FOX FLOAT 3 XV shock introduces new air-spring technology with a secondary Xtra Volume chamber designed specifically to eliminate unwanted harsh bottoming. The added volume of the twin chamber design delivers exceptional ride and handling over rough terrain. Both the primary and secondary XV air-spring chambers are infinitely adjustable for both rider preference and conditions. 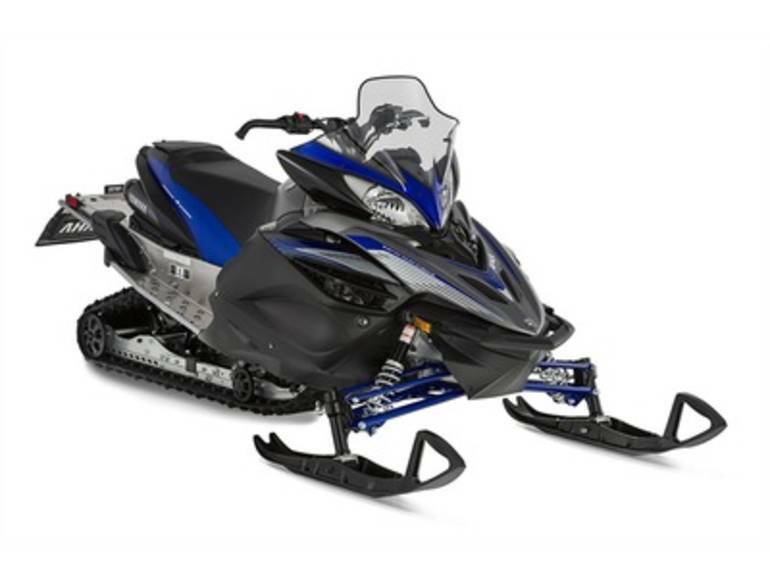 Tuner Skis Developed exclusively by Yamaha engineers, the Tuner Ski incorporates a dual keel design that can be calibrated through various runners and carbide lengths for rider preference. The Tuner Ski dramatically reduces darting and steering effort while retaining predictable and sharp handling characteristics. RipSaw II Track Regarded as the best high-performance terrain track available, the 1.25-inch lug design of the RipSaw II delivers incredible acceleration, braking control, and handling in a wide variety of conditions. Electronic Power Steering Yamaha was the first and still the only manufacturer to offer Electric Power Steering to the snowmobile industry. The velocity sensing system delivers maximum assistance at slow speeds to nearly zero assistance and high speeds. Aside from dramatically reducing steering effort, the system reduces negative feedback and delivers precise handling characteristics. All Yamaha pictures are kind of Yamaha HD motorcycles picture was taken, including motor fuel gauge, engine, engine mounts, tires, fuel tank, the car handles, lights and so on, 2016 Yamaha Apex X-TX full-screen viewing,2016 Yamaha Motorcycles today Price: $14,649 .